How emerging adults, broadly referring to those aged from 18 to 29 years old, fare in civic engagement, as compared with other adults is the focus of the present work. The work takes civic engagement to comprise prosociality in civil society, sustaining social institutions, and challenging institutions. Delineating a theoretical framework based on voluntaristic theory, the work expects to find differences in civic engagement due to the voluntaristic mechanisms of power realization, utilitarian optimization, normative conformity, and idealistic consistency maintenance in the emerging adult, as compared with the other. 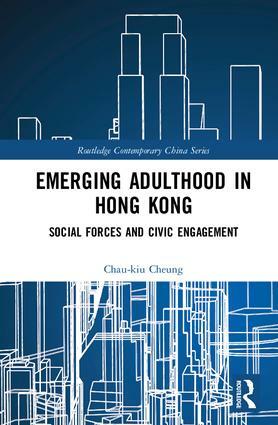 Using survey data from 25,878 Chinese adults in Hong Kong, the work illustrates that the emerging adult is higher than is the other in challenging social institutions, notably in terms radicalism and occupying protest. Moreover, the emerging adult is less prosocial in terms in community participation. Meanwhile, the emerging adult is not consistently different from the other in sustaining social institutions. The findings are crucial, given the control various background characteristics, including age, education, marriage, and employment. These findings are therefore useful for illustrating social forces postulated in voluntaristic theory for explaining civic engagement.